European Professional Club Rugby (EPCR) have revealed they will consider granting teams home stadium semi-finals this season in the Heineken Champions Cup. 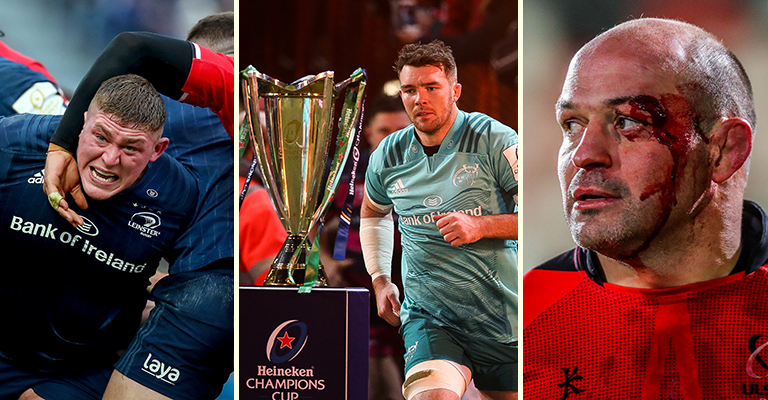 The board recently met to discuss potential venues for this season’s Heineken Champions Cup semi-finals and released the following statement following their get together. “Following a recent meeting, the EPCR Board has decided to use its full discretion in selecting appropriate venues for Heineken Champions Cup semi-finals matches. With key elements such as stadium capacity, commercial viability, operational suitability and location remaining paramount for the high-profile matches, EPCR will continue to designate the venues in conjunction with the recommendations of its stakeholders. “Regarding the current season, the suitability of BT Murrayfield as a venue should Edinburgh Rugby and Glasgow Warriors be scheduled to meet in Semi-final 1 of the Heineken Champions Cup will be assessed, while the 32,000-capacity Paris La Défense Arena will be considered along with other stadiums in France should Racing 92 qualify for Semi-final 2 on the weekend of 20/21 April. This use of full discretion in selecting Heineken Champions Cup semi-final venues does not require any change to the governing rules and regulations of EPCR and, as in previous seasons, continues to recognise performances during the pool stage with the highest-ranked clubs earning home country advantage in their respective semi-final matches.